The word ‘photography’ has Latin origin. It is basically a combination of two words; one word is ‘photo’ and other word is ‘graphy’. Photo means light, and we more or less know this fact. ‘Graphy’ means drawing something. So, in combination of these two words, photography stands for painting or drawing with lights. So, going by this definition of photography, it has to be said that photography is an art – a matter of creativity. Today, photography has gone to massive high due to implementation or integration of technology. 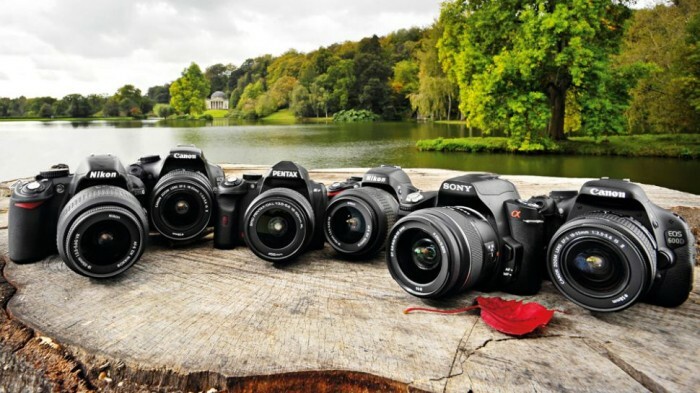 Introduction of modern DSLR camera is definitely a major leap of photography industry. Photography is a good but unusual career option these days. Young people having passion for art often join this field to win appreciations. If you have passion and creative mind, you can definitely join the field of photography. However, as a beginner you would find a lot of hurdles. Those, who cross the hurdles successfully, find themselves as established photographers. So, in order to aid beginner, here in this article let us check out some unique as well as effective photography tips. Photography basics start right from leaning holding the camera. This is the primary knowledge that you should gather as a novice photographer. Failing in holding camera properly will lead to a lot of glitches in future. You would find your photographs are not up to the mark, as you have technical problem with holding your camera. Moreover, learning to hold camera properly is important right from the novice stage. If your technique is wrong at the beginning, you would find it quite difficult to rectify in later stage. 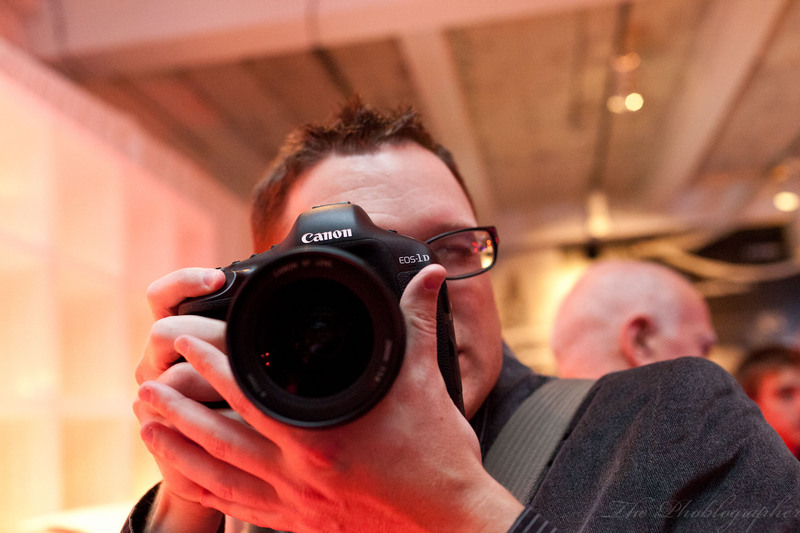 Most of us get impatient after buying a new camera. We never care to read manuals and start shooting photographs around us. To capture better photos, you need to know your camera nicely. Experimenting with different camera modes is also important for clicking good photos. So, take time to read camera manual carefully – understand the essence of different photography modes. As photography is an art to play with lights, you should have clear conception about shooting in different light conditions. To make your subject clearly visible as well as vibrant, you should understand positioning of lights. Backlighting makes the subject darker, while front lighting makes the subject crystal clear visible. The biggest part of photography is how you see a subject or a frame. Good framing makes amazing photographs, while bad framing leads to poor photographs. For better framing a few rules are there. For example, ‘rule of third’ is tone of the popular rules in photography for framing. When you buy a digital-SLR camera, you should know that two types of focusing options are there. One is manual focusing and other one is auto focusing. Manual focusing is suitable in low light photography, while auto focusing is good for daylight photography. When you choose to capture a moving object, using auto focus mode is always advised. Along with learning photography basics, it is also important to learn about different photography accessories. You should know about different types of lenses and their uses. You should know about tripod and essence of using it. Knowing lens filters is also important. While shooting photographs, two important things have to be noted with precision. These two factors are ISO and white balance. Proper hold on these two parameters can provide you excellent final outputs. Hence, you must know about different white balance modes and ISO levels. Photography is an art, which needs to be mastered if you want serious appreciations for your snaps. To master certain photography skills, you need to know your device well. Handing digital camera properly is the key for becoming successful with your passion for photography. To snap crisp and sharp images, you need to learn the art of focusing objects. In digital-SLR camera you would generally find two kinds of focusing options. One is manual focusing while other one is auto focusing. Both the focusing modes can be used in different scenarios. Using them properly can truly enhance your photographic skills, and your images would get massive appreciations by experts. As much as you move closer to the object, you would find that focusing is getting better. This is important, especially when you are shooting small objects. If there is no option for moving closer to the object, you can simply opt for a lens that offers higher zooming option. For portrait shooting, the same logic is applicable. You need to move as closer to the object as you can. Moving closer and focusing on the object will give you more detailing and your photos will become crisper as well as vibrant. Focusing on low light is a critical thing. Many novice photographers find that it is quite hard to focus on the object on low light condition. Nevertheless, even if you focus it correctly, you would find that your photo is not crisp as you wanted it to be. In low light condition, we generally work with low shutter speed, and that is probably the reason that you do not get crisp or sharp images. So, you need to enhance ISO level first to omit such issues. Now, for better focusing you can use flash light of your camera. Though, many people hate to use the flash gun, as they do not find their photo interesting with flash mode on. For good focusing, you need practices, if you are not using flash gun in low light. Click as many as possible in low light condition to get better images. 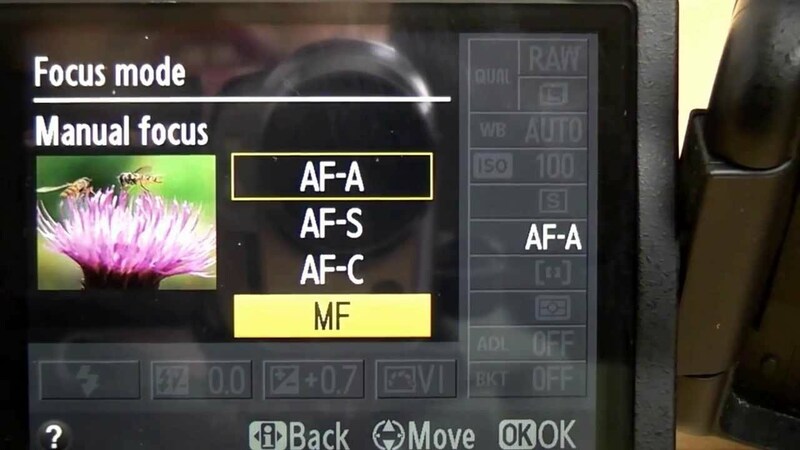 All DSLR lenses come with two kinds of focusing mode; one is manual mode and the other one is auto mode. Both of them are good, but they are used for different purposes by professional photographers. You should use manual focus for non moving objects. Manual focusing needs precision, and that comes with a lot of practices. Hence, click more to master manual focusing mode. Novices as well as professional photographers hardly use manual focus, as auto focus is that safest way of clicking photos. 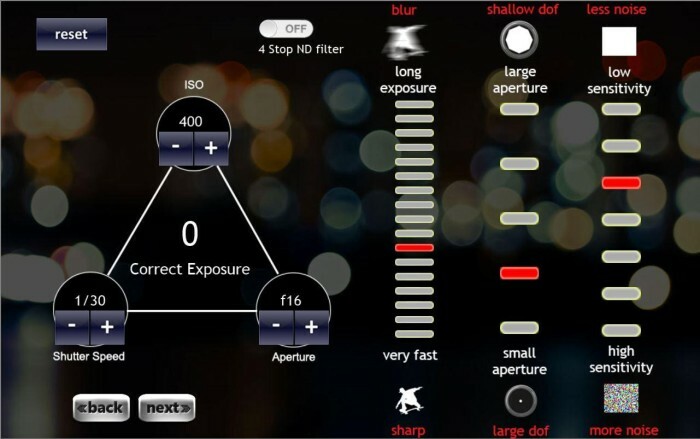 Auto focusing can be two types; single auto focus mode and multiple auto focusing. When you are focusing on a single object, use single auto focusing. When more than one object is needed to be shot, always use multiple focusing mode for better results. Also, using auto focusing is an obvious recommendation for clicking moving objects or birds. With half click on the camera button, you need to lock focus on the particular object that you want to shot. When focus is locked, you job is creating the right frame. Make a nice frame and then press full click on camera button. This is one of the basic rules of shooting with DSLR cameras, and it helps in better focusing on the photography subject. How to Hold DSLR Camera? So, you have bought a digital-SLR camera from market, and now you want to click some spectacular picture. Well, at this point, it should be reminded that having a DSLR camera would not make you a good photographer. You need precision and deep insight on your device. Nevertheless, you need to learn certain basics of photography with perfection. Learning the basics will make you the finest photographer and your photos will be appreciated by viewers. Learning photography basics starts right from learning the basics of holding a DSLR camera. 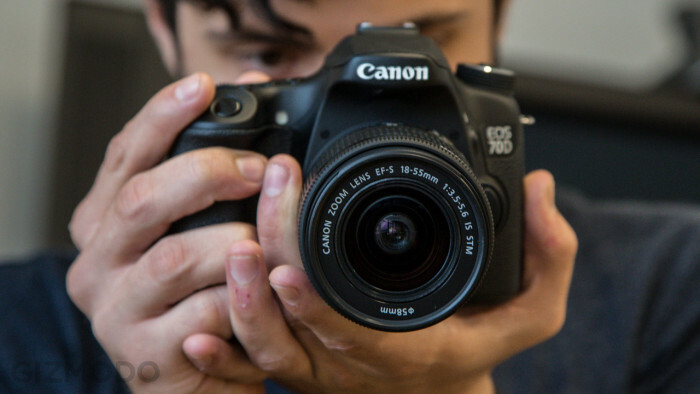 DSLR cameras are different from point and shoot cameras. 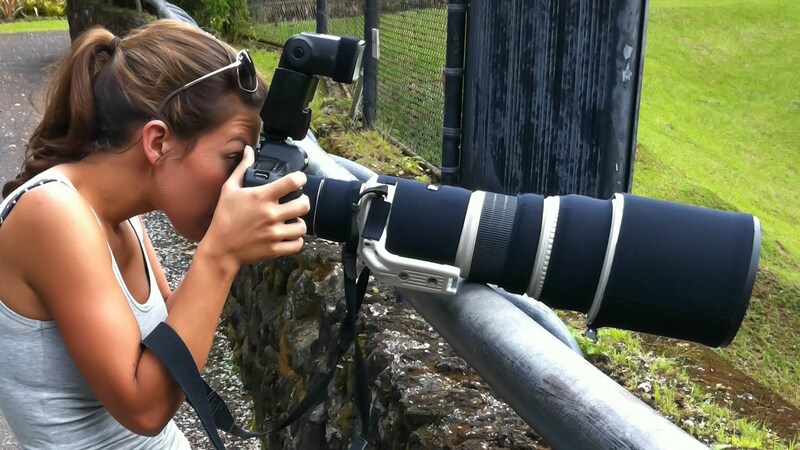 Thus, holding the camera is important here, if you want to capture world class photographs. Using the Right Grip on Right Hand: You right hand on camera is shooting hand, and thus you need the right grip on your shooting hand. For right handed people, gripping camera is easy. For left hander people, it could be a little difficult. However, practice makes everything perfect. So, keep trying shooting photographs by using strong grip on the camera with the right hand. Strong grip does not mean you need to put pressure of camera’s body. The grip should be firm, fingers should be placed as per the hinges are created on camera. Left hand Positioning: Like right hand positioning, left hand positioning on camera is equally important as well as crucial for clicking good images. Left hand should give a firm base to the camera. No need to hold the camera tight with left arm – just place is under lens firmly to provide a secured base. If left hand positioning is not perfect, your images will turn hazy or blurred due to shake. Shoot with View Finder: It is always a better and professional habit to shoot with camera through viewfinder. As technology has evolved, we can nowadays find digital-SLR cameras that offer LCD mode viewing. Well, using LCD mode is not wrong, but orthodox way seems more effective and decent. The orthodox style of using camera’s viewfinder will give you more stability in terms of crispness or sharpness of images. Knee down Shooting: For better framing or perspective, we try knee down shooting in various cases. This is definitely an effective way of shooting, but you need to careful, with holding your camera. While down on the knees, you should make your body stable first. When your body has stability, you should start shooting pictures or photographs. This will help reducing possible chances of blurriness due to shake. Hold with Love: Photography is a passion, and to become a good photographer you need to have that passion inside. So, hold your camera tight but with love and affection. Apart from all these things, we shall give you a bonus tip for holding the camera properly. Before you start shooting, just take a deep breath so that you do not have to do breathing while pressing the shutter button. Breathing holding shutter button will cause shakes. 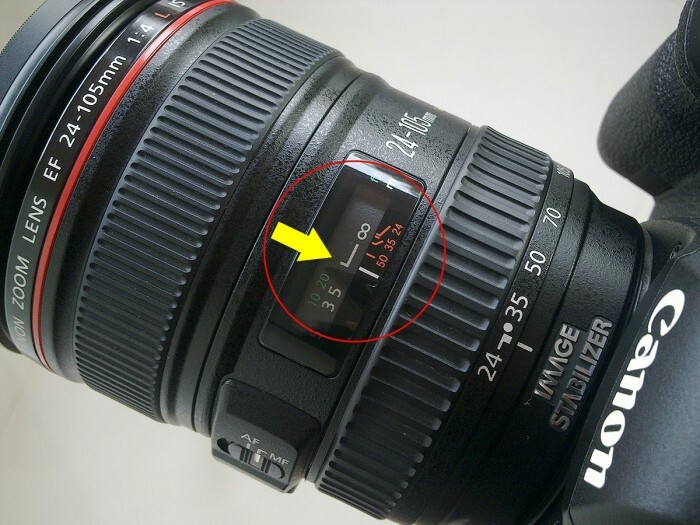 This will damage the sharpness of your photographs, giving you poor results. So, always make sure that you breathe in first, and then use the camera to shoot. This is a simple thing, which can easily be achieved with regular practices. How Should I Clean My DSLR’s Lens? So you have a DSLR camera, and you just love snapping the things around. Whether you are a professional photographer or a novice as well as passionate photographer, you need to keep your DSLR camera at the ‘state of the art’ form. DSLR cameras are expensive and thus you need to be careful with their maintenance on regular basis. As you use your camera frequently, you will find small dust particles over the lenses and sometimes fingerprints of your own. To keep the clarity of the images, it is important to clean the lenses frequently. However, this job is not as easy as we think. 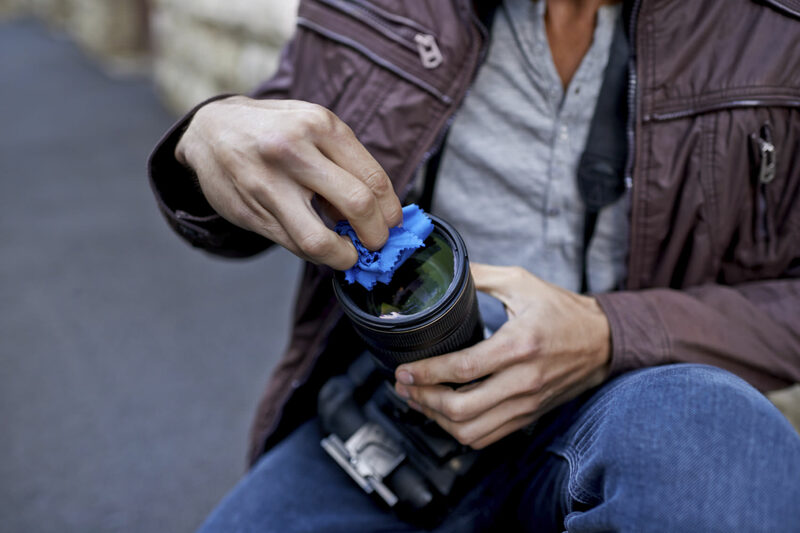 In this article, let us a find a guide on cleaning DSLR lenses. The basic problem with cleaning DSLR lens is that many of us lack enough confidence for doing this job. As the device is expensive and delicate, it needs to be handled with care as well as precision. Mishandling can cause expensive losses, and thus we get shaky with the job of cleaning DSLR lenses. When you do not find confidence in a particular thing, always considered that you lack wisdom or knowledge in that matter. Gaining knowledge on the process of cleaning DSLR lens would definitely help you to do the job with perfection, and with confidence. Prevention is better than cure! 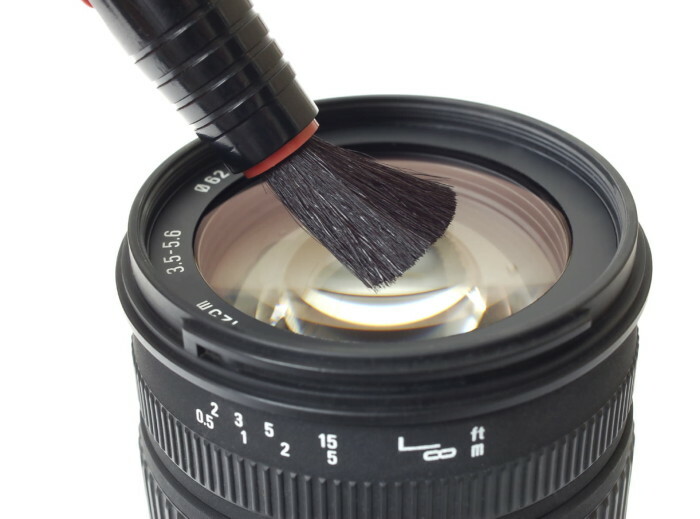 Preventing lens from acquiring dusts or fingerprint smudges is always a good idea. For this, you can simply use an UV filter for guarding lens. Using UV filter would not cause any changes to your photographic results; they just act as protector for your lens glass. It blocks dust particles and prevent the screen from fingerprints. When you opt for cleaning, you just need to clean the UV filter – no need to touch the front glass of lens. So, even if you are novice, you would not cause any damages to your camera lens. The best thing is that buying UV filter would not cost high. You can manage to find a cheap UV filter for your lens, if you have a tight budget. To clean lens glass, you need to use the liquid for lens cleaning. You would get such products from marketplace. This fluid is basically alcohol based fluid, especially made for cleaning glasses of camera lenses. Do not pour too much fluid; just a few drops would be enough for one time cleaning. Always use a dropper to pour fluid in order to prevent excessive influx. To apply lens cleaning liquid, you need lens cleaning tissues additionally. You will get them from the same store from where you buy lens cleaning liquid. Using lens cleaning tissues is important as they will save your lens from any scratches. Additionally, they will help to soak the liquid nicely, keeping your lens glass pat dry. For regular cleaning of dust or fingerprints from the lens glasses, you need lens cleaning cloths. These are soft small pieces of cloths that do not cause any damages or scratches to delicate glasses of lenses. In case if you have spotted something inside the lens or camera censor area, then instead of using clothes, the safer option is opting for blowers. With blower, simply blow away small dust particles without touching delicate parts of your camera. Though released in the year of 2015, this camera is still a major hit in the marketplace at the first quarter of 2016. In future, it is expected to do well exceptionally, as this camera has been noted as one of the best entry level DSLRs. Nikon is always a trusted manufacturer for DSLR cameras. It features different ranges of cameras for different targeted group of buyers. if you are looking for a DSLR at the cheapest price with basic features, then Nikon D3300 is a perfect option. D3300 of Nikon is basically the successor of Nikon D3200. Guide Mode: For novice DSLR users, Nikon has introduced interactive ‘guide mode’. This will help to generate the types of photographs that you want, by giving your preview guides. 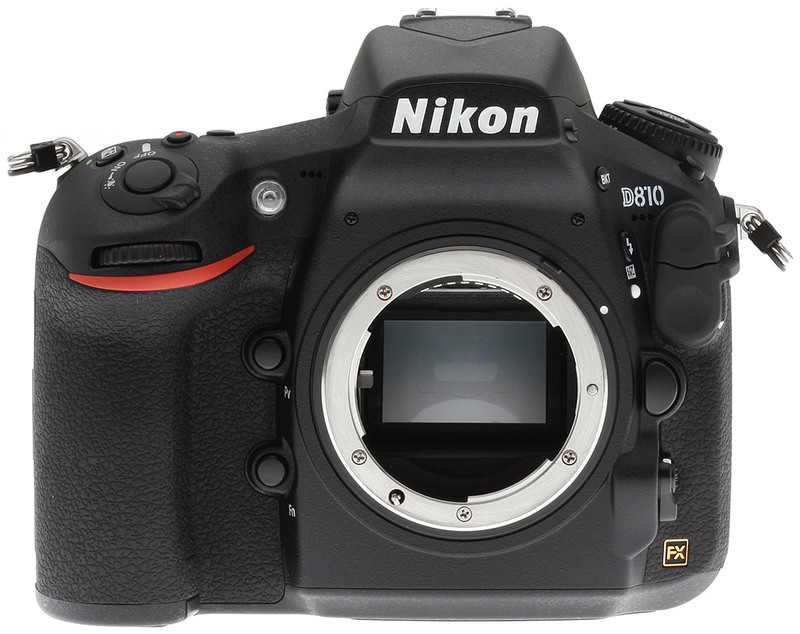 Improved ISO: The major concern with Nikon D 3000, 3100 and 3200 models was the ISO. Due to low ISO, it was difficult to shoot at night with those cameras. This drawback has been eliminated with D3300 model. Increased Mega Pixels: Enhanced mega pixels of this camera will help to produce more vibrant, crisp and sharp images. After Nikon, here we are with a product from its rival Canon. Cannon and Nikon both are trusted brands for manufacturing DSLR cameras. Anon EOS 1200D is another entry level camera, which has been launched to market by Canon to counter with Nikon’s D3300. 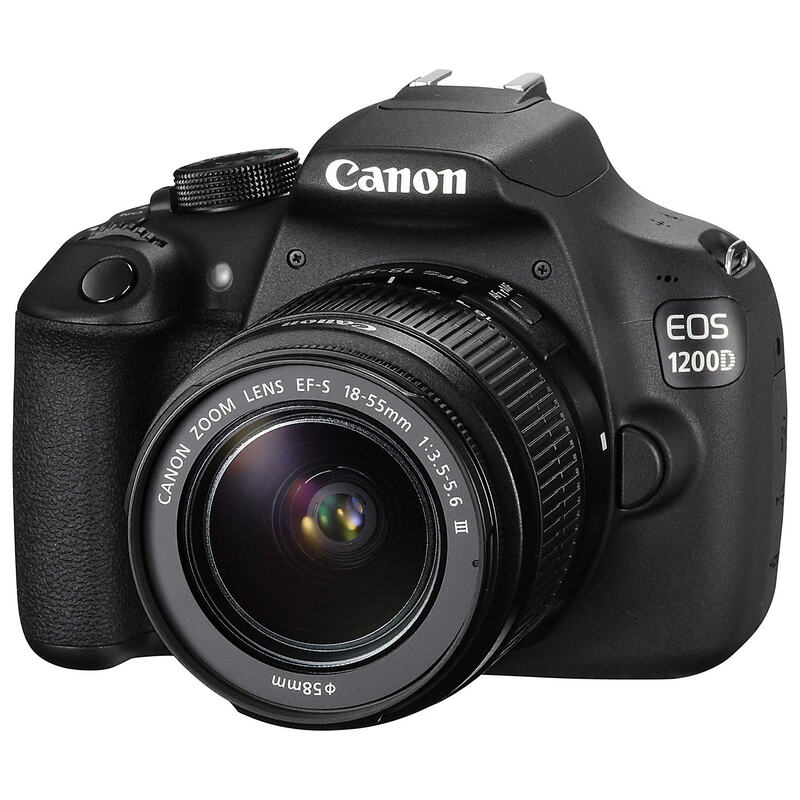 Well, Canon EOS 1200D has many things positive, and it starts right from the look of this device. This camera looks classy and sophisticated. It has an exceptionally good ISO level, and further it is good in terms of color calibration. For luring buyers, it comes with 2 set of lens. One portrait lens and another one is zoom lens. You also have the option to buy only body, if you wish. 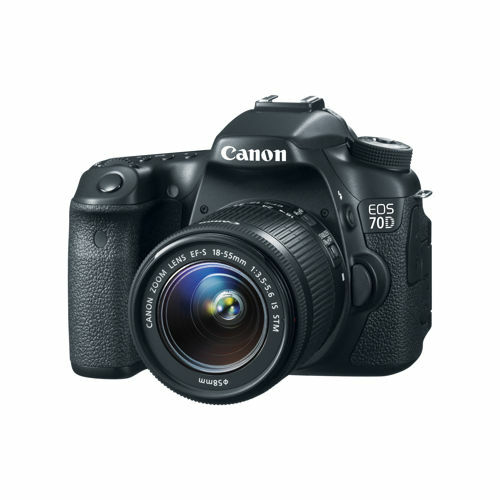 Not an entry level camera, but if a professional device is your requirement, then consider Canon EOS 70D. This device is considered as a mid range DSLR camera, which is suitable for professional photography. 3.2 inch tilt angle LCD is a major highlight of this camera. For better photography, especially for macro photography, it comes with 19 point AF through viewfinder. ISO is also good and suitable for excellent night or low light photography. 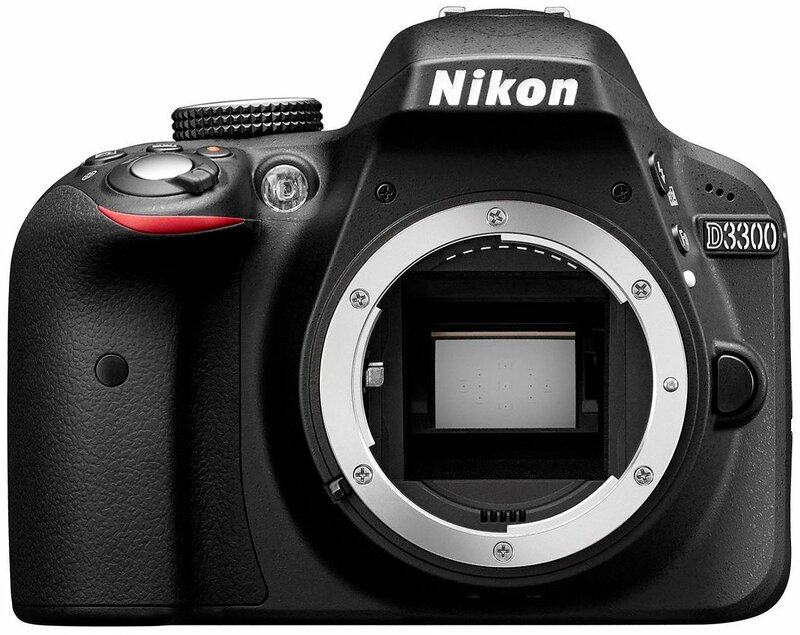 If you are searching for the best high resolution DSLR, then this product from Nikon is perfectly suitable to your needs. Nikon D810 can produce color enriched high resolution images without any glitches. Sharp and crisp images can be expected from this camera. Featuring 36.3 MP high resolution, this camera produces exceptional quality images. The basic starter kit includes standardized 18-55 MM lens by Nikon. High ISO also gives excellent noise control and nightlife shooting experience. Overall, this camera is a complete package for the professional photographers.